Bryan McNett talks about the texturing technique’s flaws. Remember MegaTextures, the fancy term introduced in id Tech 5 with R.A.G.E.? 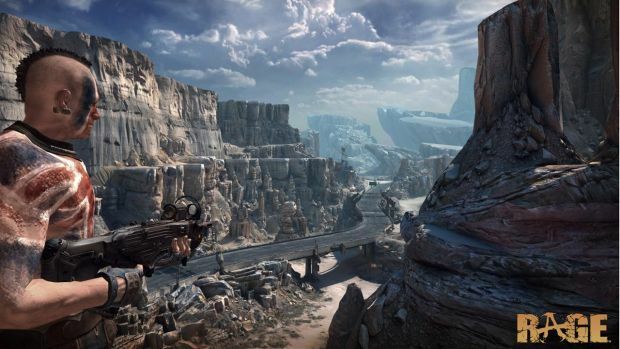 id Software’s technique involved using one large texture for static terrain as opposed to multiple small textures, thus allowing for less RAM usage but with strong amounts of detail for large areas. Of course, despite the technology Rage employed, it felt somewhat limited with its visuals at times – this is most likely due to the amount of RAM being limited for texturing. MegaTextures are still used in modern games but Sony’s ICE Team graphics programmer Bryan McNett criticized the technique in a series of Twitter posts. What are your thoughts on McNett’s views and especially on the overall viability of MegaTextures? Let us know in the comments. @paniq Megatexture seemed weird even at the time. Force people to texture uniquely, and they'll just paste a lot of unique copies of stuff. @paniq Sure the artists making the desert landcape didn't *really* uniquely paint everything, so why make the computer texture it unqiuely? @kenpex @paniq compare a screenshot of Doom to screenshot of Lion King on Genesis, and its obvious which looks better. Id even said as much. @kenpex @paniq people forgave Doom for looking worse than 2D platformers, *because* of freedom-of-3D. No such breakout freedom in Rage.